The Cedar Falls Utilities coal-burning facility is in the old-town neighborhood where I live. It's hard to miss the landmark chimney, towering above everything else. Railroad tracks lead to the coal yards next to the chimney. Washington Park is on the other side of the tracks. One has to cross the tracks to access this riverside park. I drew the above recently from the park's entrance. Train cars are often stored here. 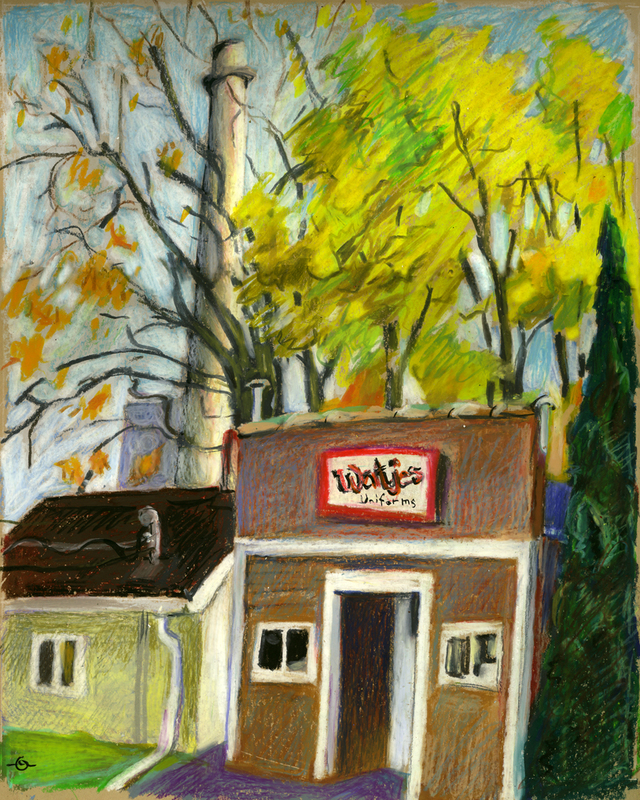 The above drawing is part of a recent paint marker series I did of Washington Park. 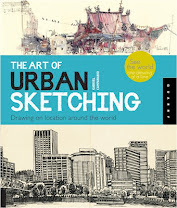 See more of that series on the international Urban Sketchers Blog HERE. 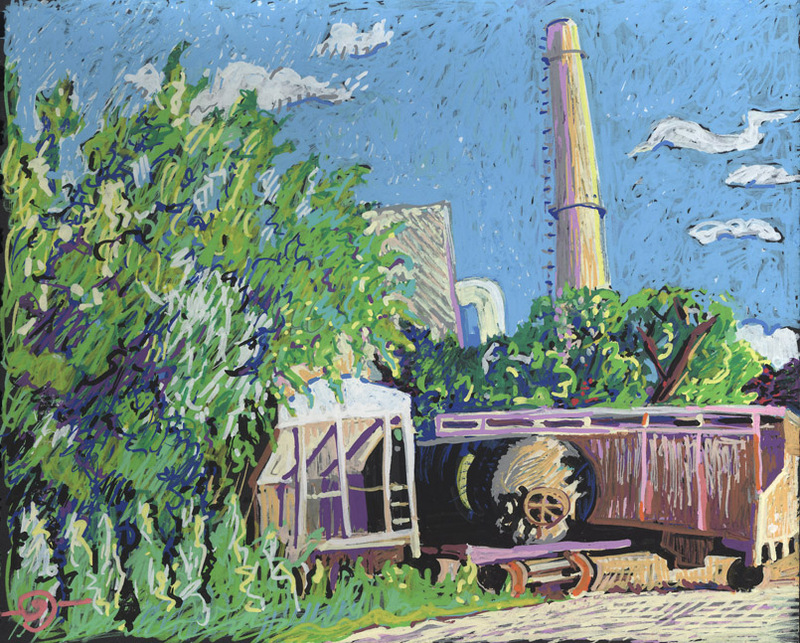 October 2012, I included the chimney in another drawing. It became a backdrop to Wertjes Uniforms, a shop for police officers and firefighters, which is just down the street from my house. This is J. Nagem, an all steel, home built, trawler/tug that's currently residing in a corner of the yard at our marina. 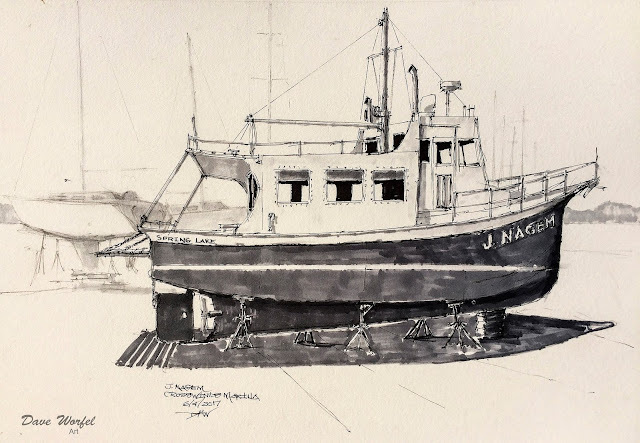 The boat is about ready to launch for the season so Sunday afternoon I pulled out my sketch book, sat under a tree and sketched away.